GTA 3, or Grand Theft Auto III, was published by Rockstar games and was the first 3D game in the GTA series. 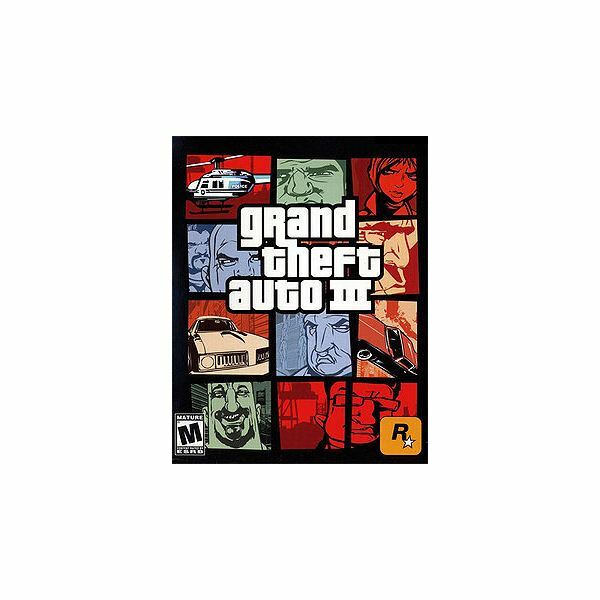 Coming out in 2001 through 2003 on various platforms like the PS2, PC, and XBOX, it was the middle game between GTA2 and GTA: Vice City. An action adventure game with an ESRB rating of M for Mature (language and violence), it was released with massively top scoring reviews. No one under 17 is suppose to be able to purchase it without parental permission. For the PS2, these are the cheat codes that you can put in during gameplay and during any part of the game to activate the cheat, no special screen or box needs to be up for them to work properly. Clear Weather – L1, L2, R1, R2, R2, R1, L2, and the Triangle. Foggy Weather – L1, L2, R1, R2, R2, R1, L2, and the X.
Rainy Weather – L1, L2, R1, R2, R2, R1, L2, and the Circle. Cloudy Weather – L1, L2, R1, R2, R2, R1, L2, and the Square. Spawn the Rhino – O,O,O,O,O,O,R1, L2, L1, Triangle, O, and the Triangle. Spawn the Tank – O,O,O,O,O,O,R1,L2,L1, Triangle, Circle, and the Triangle. Faster Time in Game – Circle, Circle, Circle, Square, Square, Square, Square, Square, L1, Triangle, Circle, and the Triangle. Full Health Cheat – R2, R2, L1, R1, Left, Down, Right, Up, Left, Down, Right, and Up. Full Armor Cheat – R2, R2, L1, L2, Left, Down, Right, Up, Left, Down, Right, and Up. $250,000 Money Code – R2, R2, L1, L1, Left, Down, Right, Up, Left, Down, Right, and Up. Better Driving Ability – R1, L1, R2, L1, Left, R1, R1, and Triangle. Pedestrians Turn Against You – Down, Up, Left, Up, X, R1, R2, L1, and L2. Pedestrians Turn Crazy – R2, R1, Triangle, X, L2, L1, Up, and Down. Pedestrians Have Weapons – R2, R1, Triangle, X, L2, L1, Up, and Down. The Riot Code – Down, Up, Left, Up, X, R1, R2, L2, and L1.